About a year ago, a group of English and Polish theologians started the new international online journal, Open Theology / Otwarta Teologia. One of the leading brains behind this projects is the Rev. Dr. Piotr Ashwin-Siejkowski, an Anglican Priest of London, UK, who teaches Patristics at the University of Chichester (UK) . Piotr is the author of Clement of Alexandria and a forthcoming book on the Apostles' Creed. Fr Waclaw Hryniewicz, a former head of the Ecumenical Institute of the Catholic University of Lublin, Poland, contributed an article to the magazine in 2007. In January 2008, he received a letter from Archbishop Angelo Amato, secretary of the Congregation for the Doctrine of the Faith, asking him to retract or change the text. You can read the full article from the Catholic News service here. Fr Hryniewicz' article can be found here. 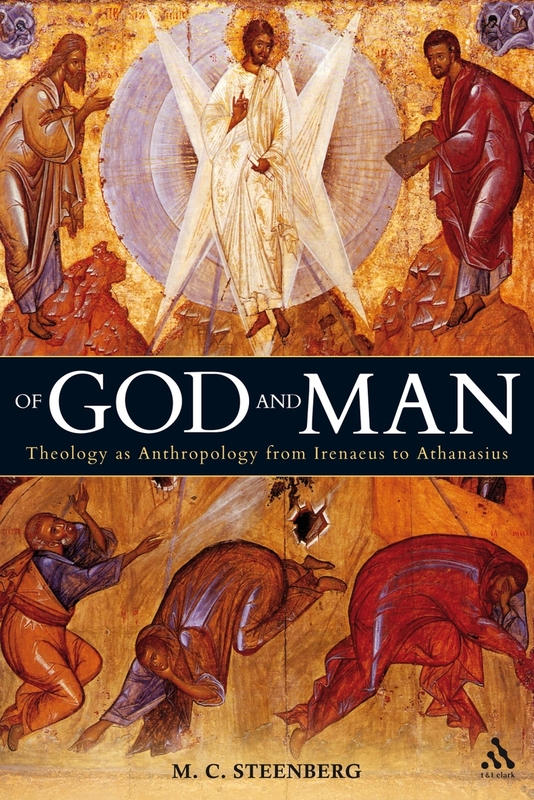 Endorsements for "Of God and Man"
V. Rev. Dr. John Behr, Dean, St Vladimir's Orthodox Theological Seminary, New York, U.S.A.
Revd. Dr. Thomas G. Weinandy, O.F.M., Cap. Executive Director for the Secretariat for Doctrine, United States Conference of Catholic Bishops Former Warden of Greyfriars, and Lecturer in History and Doctrine, University of Oxford, U.K.
"Of God and Man" by Matthew Steenberg will publish in Nobember 2008 (January 2009 in the US). Cardinal Dario Castrillón Hoyos ―the man charged with implementing Pope Benedict’s liberalisation of the Latin Mass and other rites as celebrated before the Second Vatican Council―made these remarks in a preface to the forthcoming edition of The Ceremonies of the Roman Rite Described, the standard English manual on how to celebrate the older rites, released yesterday. Hoyos commended the book―the fifteenth edition since it was first published by the English priest Dr Adrian Fortescue in 1917―edited by the London based “distinguished liturgical scholar” Dr Alcuin Reid as “a reliable tool for the preparation and celebration of the liturgical rites” that Pope Benedict has authoritatively decreed may now freely be used. The volume is due for publication by Continuum/Burns & Oates by the end of 2008. Adrian Fortescue, J.B. O’Connell & Alcuin Reid, The Ceremonies of the Roman Rite Described will be published in October 2008 (December 2008 in the United States). "This is a bold and imaginative book that puts forward the thesis that there are, by the nature of the created order, aspects of creaturely existence that block or hinder some forms of divine disclosure thus necessarily shaping the way in which God discloses himself. It proposes that there is a logically given structure to revelation, which God, if there is such a being, must work within. By implication the thesis seeks to sharpen our understanding of what kinds of knowledge of God we can expect to find and the nature of the faith that apprehends revelation. It also suggests that the concepts of omnipotence and freedom, when applied to God, need more careful analysis than is sometimes allowed. King’s argument emerges out of a rigorous conversation with major historical and contemporary figures in theology and philosophy, such as Calvin, Barth, Kant, Kierkegaard, Swinburne, Plantinga, Alston, Phillips and Hick, amongst others, and sets itself the distinctive task of exploring theological ideas of the hiddenness and mystery of God through a careful philosophical analysis of revelation and faith. The writer argues that there are a number of epistemic features of human existence that give shape to the way in which God can reveal himself. God’s revelation as encoded in texts, as well as more direct forms of disclosure have the character of self-testimony. If these are to be received as revelations of the existence and loving character of God, then there must be trust in the being who is self-testifying. Trust, in turn, is dependent on a person’s immersion, and intellectual and emotional growth within an evidential context that teaches them why they ought to trust God and how they can rightly perceive God’s revelation. This is to say that revelation can only be received from within a context that nurtures a sense of God’s trustworthiness; revelation can only be received as and when trust develops. The importance of the trustworthiness of God to faith explains, in the writers view, why the problem of evil is a significant issue. It is because it weakens the hold of the believer’s trust in the good purposes of God. Moreover the perspective of the writer leads him to describe faith in terms of a journey epistemology. By this is meant that faith depends on evidenced based trust in God trustworthiness that leads a person to belief God’s self-disclosures and which begins with an explicit decision to trust that becomes gradually and over time an implicit, tacit trust in God and his disclosures. A main virtue of the book is that it approaches familiar theological issues, such as the kenotic self-limitation of God in Christ, from the perspective and using the tools of analytical philosophy. The writer strives for conceptual clarity and rigorous argument throughout and gives a good account of a range of important thinkers in the course of his argument; the book would be well worth reading for its expository value alone! Through his careful discussions of numerous thinkers King puts forward a systematic and cohesive argument in support of his position. Along the way, moreover, he explores some of the ramifications of his position in relation to topics such as the form of human knowledge of God in the eschaton and the importance of miracles to God’s revelatory strategy. 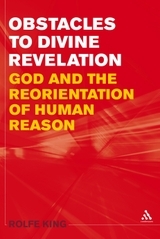 The book is an excellent addition to the literature dealing with revelation. 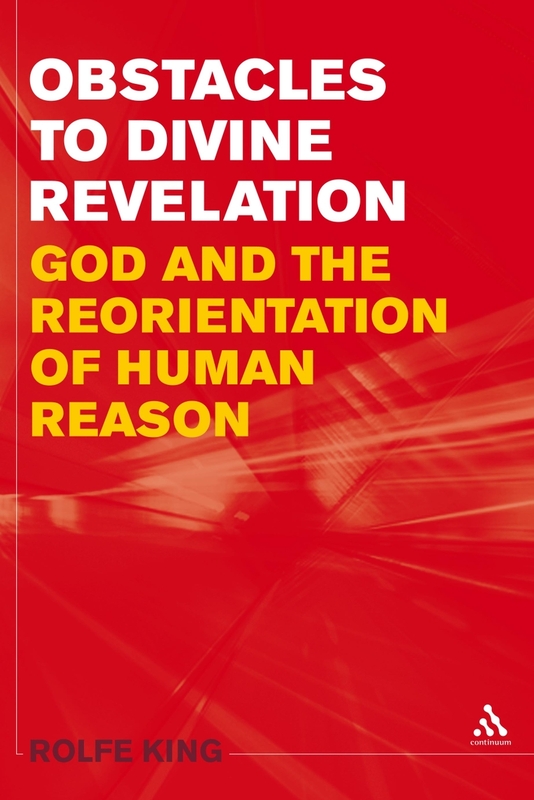 It would be useful to advanced students of theology and theologians, in that it posits a striking thesis that potentially illuminates some key theological concerns and it does this through drawing on the tools and insights of analytical philosophy of religion. It would be also be helpful to philosophers because it offers fair expositions of the work of many key thinkers and takes provocative, well-argued positions within a number of current debates in the field." Obstacles to Divine Revelation is available in the UK from Jan 2009 and the US from March 2009. If any of you were in San Diego for AAR/SBL last year, you may have had the opportunity to see the Dead Sea Scrolls. Well, if you're near New York City, you have your chance again. Opening up last Sunday there is a new DSS exhibit at the Jewish Museum! 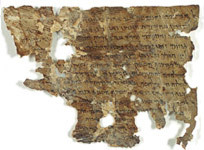 The Jewish Museum’s exhibition will include six Dead Sea Scrolls. They represent the important transformation that occurred in Jewish worship from sacrifice to Bible study and prayer, the debates among Jewish groups of the Second Temple Period, and the indirect connections between the scrolls and early Christianity. The scrolls include a part of one of the earliest copies of the Hebrew Bible in existence, the Book of Jeremiah, which dates to 225-175 BCE. Other texts that will be shown include an apocryphal Jewish work, the Book of Tobit, which was not included in the Hebrew canon but was eventually accepted into some versions of the Christian Old Testament; early examples of prayers from Words of the Luminaries; and Aramaic Apocryphon of Daniel, which mentions a son of God. Also shown will be excerpts from two sectarian compositions, the Community Rule, which lays out the regulations for joining and being a member of a sect, and the War Scroll, which describes a great war at the end of days. Three of these scrolls have never been exhibited, while three others have never been seen in New York. This is a rare opportunity not to be missed!The exhibit will run from September 21, 2008 - January 4, 2009. 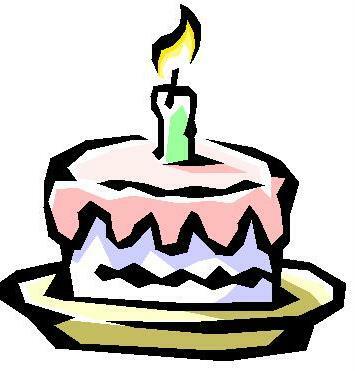 Happy Birthday, T&T Clark Blog! Can you believe it? We're one year old! It's been a full year since we stumbled into the virtual ether and we've loved every minute of it. Over the last twelve months, we've sought to bring you the best and latest in biblical studies and theology and we're not even going to begin to slow down. Thank you so much reading us! We certainly couldn't have done it without you, our readers, and that's certainly the best present we could ask for. We average about 90 hits a day and have logged over 32,500 hits. We're especially grateful to both Ben Myers of Faith and Theology and Mark Goodacre of NT Gateway, who have supported us and linked to many a post. We have a lot of irons in the fire for this next year - including the release of the revised Church Dogmatics and a few new series in the works - and keeping an eye here on the blog will put you in the know first. We will be present in full force at AAR and SBL and we're excited to see everyone again. San Diego was a whirlwind and a great success and we have you to thank for it. We're gearing up for Chicago and Boston and we aim to please with a bunch of new releases and so much more! So please enjoy some virtual cake and celebrate with us! You've made us one of the best religious publishing blogs on the internet and we're very appreciative. Here's to many more years of blogging! We're always interested in your thoughts and comments about our blog and T&T Clark in general. Feel free to leave a comment below or just email us! Esther de Boer, author of The Mary Magdalene Cover-Up, will appear in a documentary this Sunday called Mary Magdalene: Saint or Sinner. The programme, part of Channel Five's Secrets of the Cross series, will be shown at 11am. Matt Page has already posted a review of the programme on his website Bible Films Blog. Darian Lockett, author of Purity and Worldview in the Epistle of James has been interviewed on Matthew D. Montonini's blog here. It seems that the British New Testament Conference has set the blogging world on fire in the last week with heated [but one surmises, good-natured] debate flaring up on various blogs notably here and here [a round up of blog appearances is given by Mark Goodacre]. Nijay Gupta even goes so far as to quote a conversation with Haaris. Fame at last. From a layman’s perspective the papers I attend were very enjoyable – particularly Loveday Alexander’s paper on classical intertextualities in Acts. It certainly had me searching the corners of my mind for largely forgotten undergraduate Koine Greek. From the publishing side of things it was a very good conference, meeting series editors and authors – putting faces to email addresses - and selling a decent number of books. Particularly strong on the sales side were Jonathan Knight’s Christian Origins, Steve Moyise’s Evoking Scripture and John and Empire by Warren Carter. Loveday Alexander’s book Acts in its Ancient Literary Context sold out before she had even delivered her paper. But BNTC delegates who picked up an order form will notice that their conference discount holds until the end of October. Some good conversations were held with a view to commisioning and we’re optimistic that some good new projects will come forth in the following months. It was gratifying to hear praise from so many delegates for the work being published within the Library of New Testament Studies and a pleasure to display so many titles from the series at the conference. As the conference continued the weather began to be rather more appropriate for SOTS than BNTC. A paper on Genesis 7 would have been blessed with ample visual aids. A grim train journey followed admist floods and overcrowding. Nijay Gupta has posted a review of Deuteronomy in the New Testament (Moyise and Menken, eds) on his blog. You can read it here.